At present,the sintering machine sealing device generally adopts float overall panel type, connecting rod weight type and key type. During sintering production, the vehicle will be heated to deform. And the system will have air leakage to affect sintering productivity. This intelligent servo sintering sealing device can totally solve the above defaults. It can optimize sealing structure type. It adopts fine panel materials to realize good sealing performance. 1. The sealing device consist of various independent sealing. The sealing panel adopts differential principle arrangement and distribution. The panel adopts wear-resistant alloy plate with high durability and long time use life. 2. Overall sealing structure, set in flexible support mechanism, The spring adopts heat-resisting materials. It guarantees the support mechanism work during high Temp. conditions. The sealing panel works freely up and down to help the work surface not sink and self compensation. 3. The sealing plate adopts soft link gear. The two plates bending deforming, without faulting of slab ends, accumulated materials and air leak. 4. Through the analysis of sealing panel deformation by force and master of principle of deformation by force, adjust flexible support mechanism, it adjusts flexible support mechanism.The sealing panel can wiggle in any directions. When different deformation vehicle pass the sealing panel, the sealing panel will deform to match the bottom beam for good sealing performance. 5. 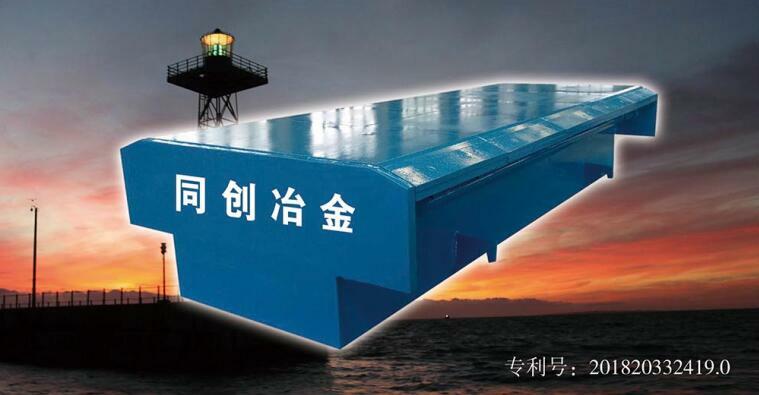 The sealing panel can be dismantled, replaced to reduce maintenance.